Rabbi Henry Vidaver was born in Warsaw, Poland. He served as spiritual leader of Congrega­tion B’nai Jeshurun of New York from 1865 to 1873. B’nai Jeshurun was New York’s first Ashkenazi congregation, having been founded in 1825. 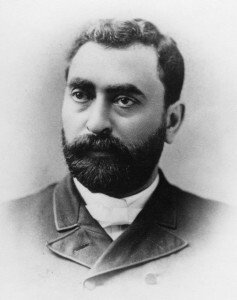 In 1873, Rabbi Vidaver came to San Francisco to serve at Congregation Sherith Israel. He made an enviable record in California, and was reputed to be the outstanding pulpit orator in the San Francisco of his day. In addition, Vidaver was the city’s handsomest rabbi. He was in great demand as a lecturer, and was frequently called upon to travel to nearby communities to address Jewish and non-Jewish groups. Rabbi Henry Vidaver died in 1882 and was interred in the Row of Honor at Hills of Eternity, Colma, just South of San Francisco. Morris B. Margolies, “American Career of Rabbi Henry Vidaver,” Western States Jewish History 16/1. 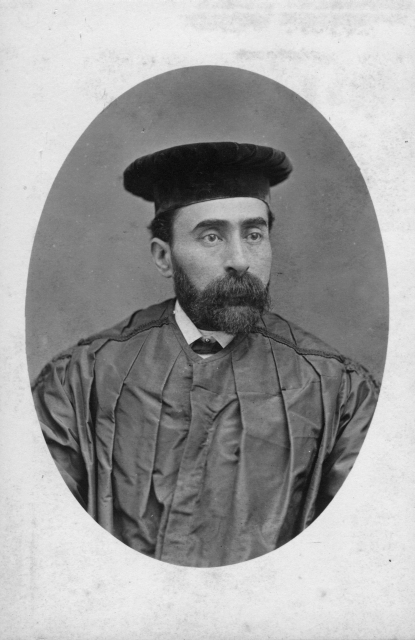 Norton B. Stern, “Rabbi Henry Vidaver,” Western States Jewish History 41/2.